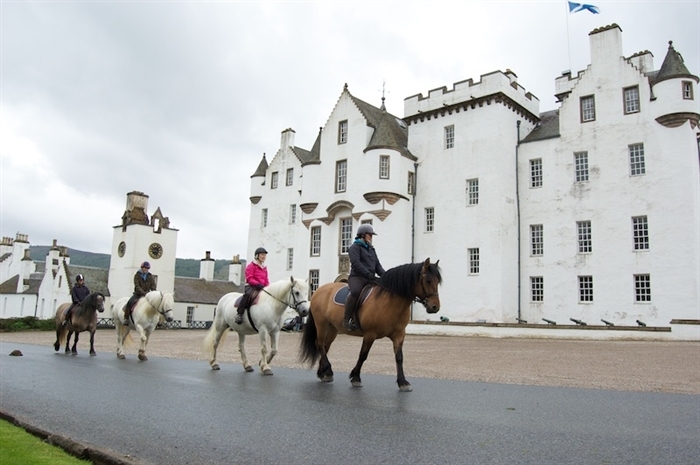 Experience the natural beauty and wild landscapes of Atholl Estates on a relaxing Highland Pony trek. Enjoy a relaxing trek into the heather-covered hills, travel along forestry tracks and cross a rocky mountain stream on the back of a sure-footed Highland Pony. With plenty of opportunities to spot local wildlife, there's a new sight around every corner. As you trek around this stunningly wild part of Scotland, listen to stories about life on the estate from the trek leaders, who will be able to answer any of your questions about the landscape, wildlife and buildings that pass you by. Having opened its doors to the public in the 1950’s, this trekking centre is one of the oldest in the UK. Routes are tailored for beginners, novice and experienced riders so all abilities are welcome. Open April- August. Visit http://www.blaircastletrekking.co.uk/ for more information. Connecting train services from major cities and Caledonian Sleeper from London arrive at Blair Atholl Station.